Landmarks has walking tours as well as group tours on advance notice. Landmarks offers group tours for all of our historical properties. 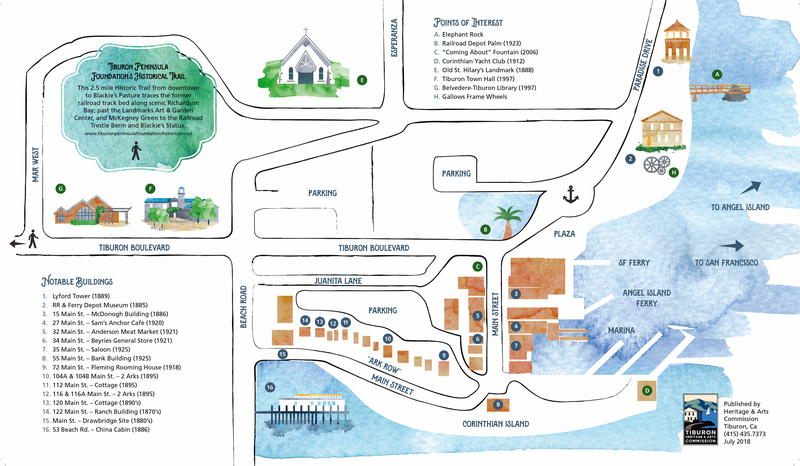 Whether for senior excursions, school visits, or just large groups (10 or more) from out of the area – our docents teach the exciting history of this beautiful area and each Landmark. The easiest accessible sites are the Railroad & Ferry Depot Museum and the China Cabin. (Old St. Hilary’s cannot accommodate large buses; therefore, groups need to walk about 100 yards uphill to gain access.) We ask for a donation of $5 per person/per site to be paid in advance to help defray the operating and maintenance costs of each of the sites. For more information, please call Landmarks at 415-435-1853. 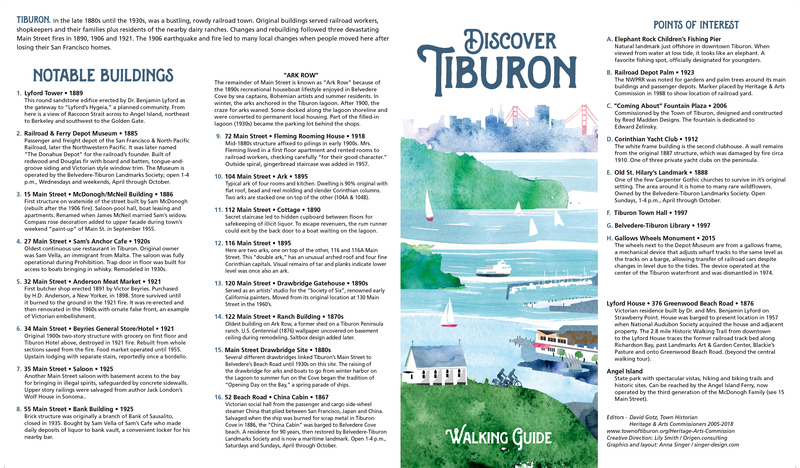 The Tiburon Historical Trail is a joint project of the Tiburon Peninsula Foundation and the Belvedere-Tiburon Landmarks Society. 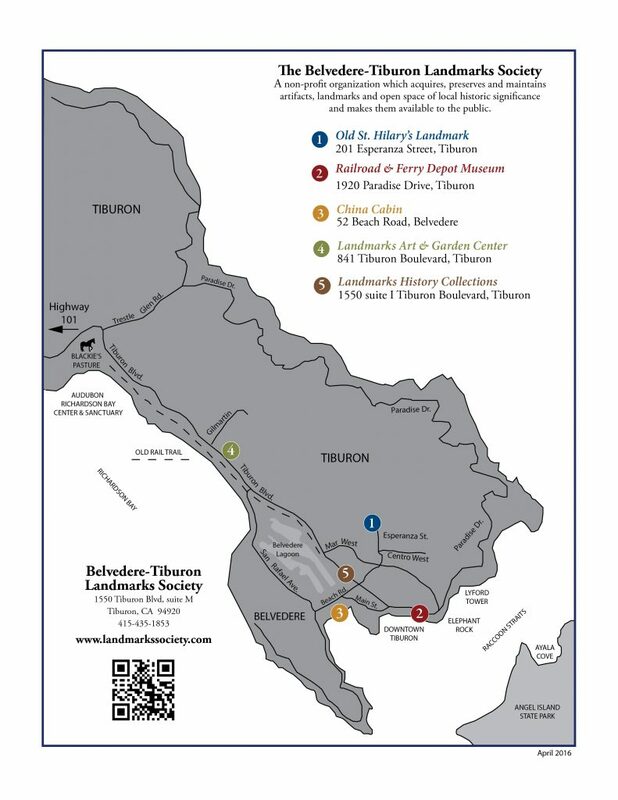 This trail runs between Blackie’s Pasture and the Donahue Depot in downtown Tiburon. Along the trail are interpretive plaques which display early photographs taken from the location near the plaque so you can compare it then and now and learn the history of the area.